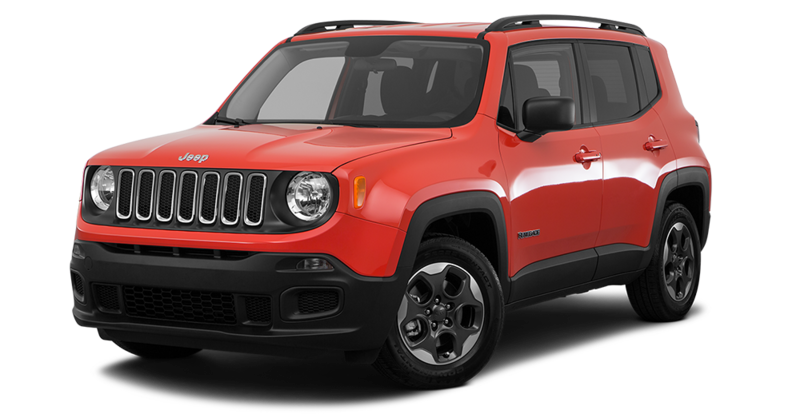 Get ready to take on your next great adventure with the Jeep Renegade. The Renegade has a bold and rugged exterior built to take you on any adventure in in all conditions. Equipped with the available My Sky sunroof that can be retractor or removed for open air driving on beautiful nights. There is also the windshield wiper de-icer and heated mirrors for during the winter season. Every drive is an adventure in the Renegade, allowing you to help clear steep hills, rocky includes, and uneven ground with ease helping. All lease based on 10k miles/year. Tax title, acq, sec, reg, inspection and doc fee additional, must qualify lease conquest inventive, available to current lessees of competitive non-chrysler vehicles. Extra charge may apply at lease end. Must qualify for tier 1 credit. Finance bonus required finance through chrysler capital. 0% finance in lieu of rebate. Requires trade-in of any vehicle to qualify. Subject to program change without notice. All transaction must be complete at time of sale. By submitting you agree to our terms and conditions . $299 documentation fee not included in final price. $20 per $1,000 borrowed. Security deposit not required. Residency restrictions apply. Stock #CJ3000 @ DISCOUNT . sale ends 04-30-2019.